In both our Springfield and Republic offices, we offer a number of hearing aid services. First, we can professionally clean and check your hearing aids. If they are not functioning properly and we cannot fix them in our office, we can send them to a lab to be repaired. 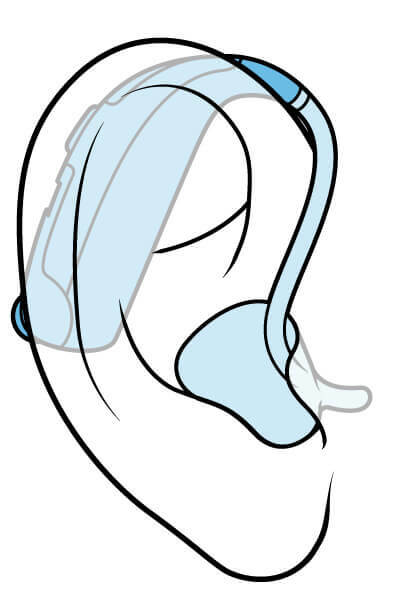 We also offer hearing aid programming and hearing aid fittings in both locations. 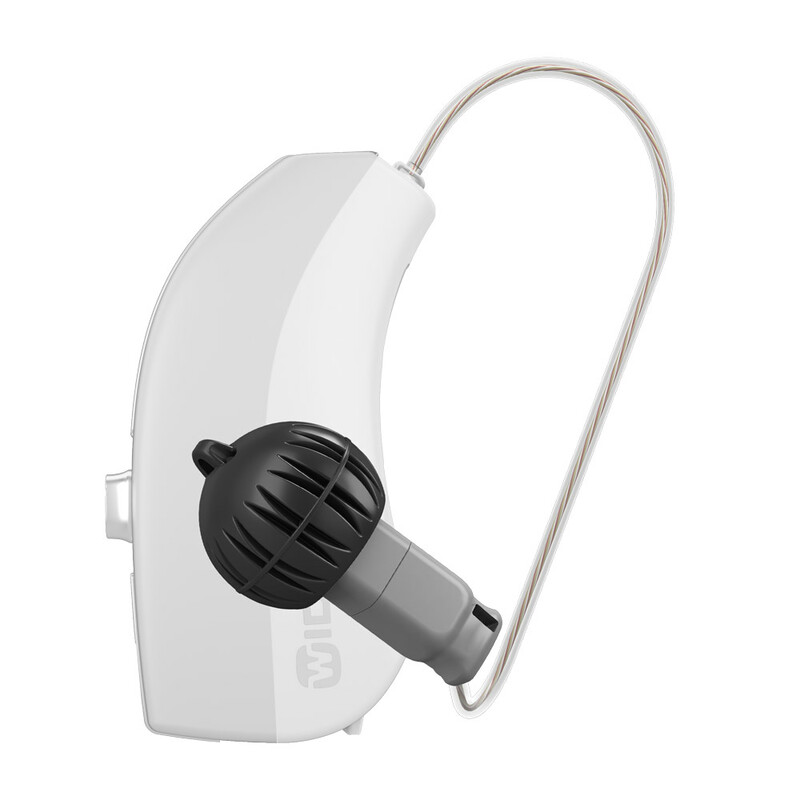 We currently offer hearing aids from Widex, Resound, Unitron, Starkey, Siemens, Signia, Phonak, Oticon and more. Widex, which was founded in 1956, is a Danish manufacturer of hearing aids known for exceptional sound quality. Widex hearing aids provides wearers access to the full spectrum of sounds, amplifying the softest sounds and making sure that the loudest ones are comfortable. Widex has been committed to advancing hearing technology and is credited as being the first to make a digital in-the-ear hearing aid. Their most recent products have been UNIQUE, BEYOND and EVOKE. They first began in the hearing indsutry in 1943 and since then, ReSound has been responsible for a number of hearing industry achievements. WDRC (Wide Dynamic Range Compression) broke new ground for hearing aid sound processing. DFS (Digital Feedback Suppression) was the first system to effectively eliminate howling and sound distortion. Most recently, ReSound launched the LiNX platform, which was the first 'made for iPhone' hearing aids to connect directly to Apple smartphones. 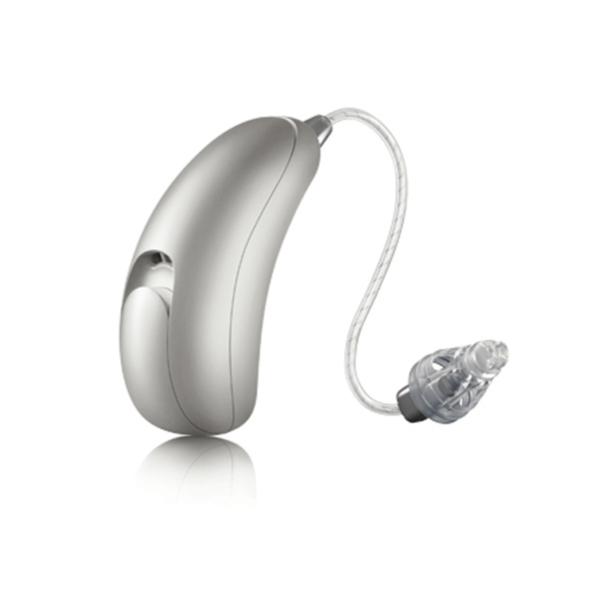 Unitron is a leader in hearing design and has received the Reddot product design award for both 2014 and 2015. A Canadian company, Unitron is a unique company because they offer free accessories at no additional cost to the patient. Unitron has one of the best feedback systems in the industry and offers a variety of both custom and behind the ear styles for each patient that fit all types of hearing loss levels. 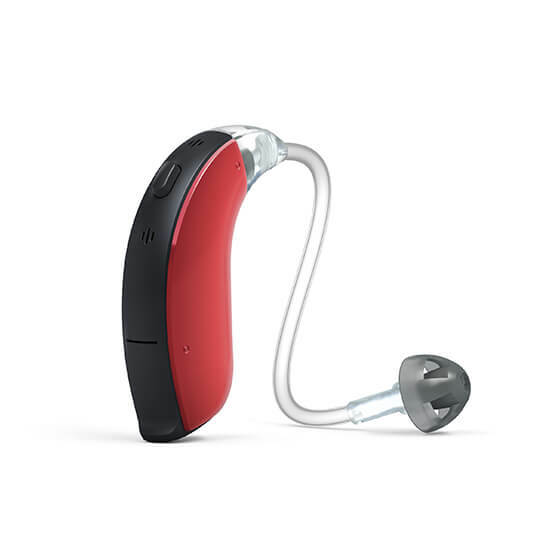 Their latest offering is the Moxi All hearing aid, which has rechargeable batteries and direct connectivity to smartphones. Signia is the brand of hearing aids that used to be owned by Siemens Medical. They have created a number of firsts in the industry, including the first fully waterproof hearing aid and the first rechargeable system. Their latest platform, the Nx, offers an innovative feature call OVP (Own Voice Processing) that helps wearers adjust to the sound of their voices easier. Phonak, owned by the same parent company (Sonova) as Unitron, is a Swiss-based hearing aid manufacturer. They are currently one of the Top 2 hearing aid brands in the world and are credited for their introduction of SoundRecover, which helped to popularize frequency compression technology. 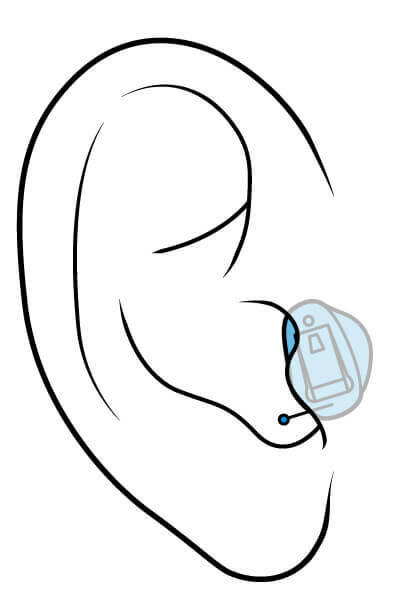 Their most popular hearing aid, the Audeo, has a number of helpful features, including rechargeability and direct-to-Android connectivity. Starkey Hearing Technologies, founded in 1967 in Minnesota, is the only major U.S.-based hearing aid manufacturer. Through their hearing products, Starkey aims to bring people together and make lives richer by empowering individuals to reach their full potential in life. From the beginning, Starkey has broken ground with their technological innovations to hearing devices, by creating smaller, easier, and better ways to hear. They created the first in-canal hearing aid and the first custom, digital, and fully programmable invisible hearing aid. 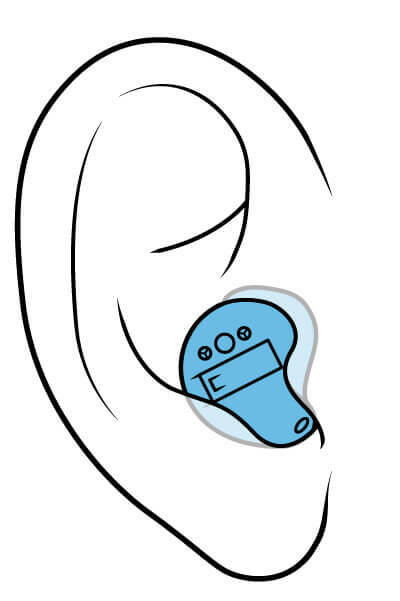 Their current hearing aid portfolio includes Starkey Halo made-for-iPhone and Starkey Muse. In line with Oticon’s company mission, “People first,” the latest line of hearing aids from Oticon puts the brain first. Oticon's latest hearing aid is the OPN, which has BrainHearing technology, powered by the Inium platform. This remarkable new technology offers four key features that assist the brain in hearing: Speech Guard E, Spatial Sound, You Matic, and Free Focus. Speech Guard E improves speech recognition, while Spatial Sound situates the wearer within the context of their environment with sounds. You can find more information about these hearing aid manufacturers at our hearing center in Springfield or our hearing center in Republic. We have a range of different hearing aid brands to meet your hearing loss, lifestyle, needs, and wants. Hearing aids have advanced very rapidly over the past decade. In fact, every few months new hearing aids come into the market. We can help you find the devices that fit your hearing, style, and budget. Hearing aids come in many shapes, styles, and sizes. There are many different options because each person is unique and has unique needs and wants. Receiver-in-the-canal (RIC) and open-fit hearing aids have become the most popular style of hearing aid, due to their comfort and reduced visibility. In addition, they can also fit a wide variety of hearing losees. It is estimated that these styles are about 80% of hearing aid fittings today. Behind-the-ear (BTE) hearing aids are known for their reliability and dirability. In addition, BTE hearing aids are the best choice for the most severe hearing losses because they can hold the most powerful circuits and their design reduces acoustic feedback. Completely-in-the-canal (CIC) and Invisible-in-the-canal (IIC) hearing aids have long been popular for those looking for the most discrete fitting possible. 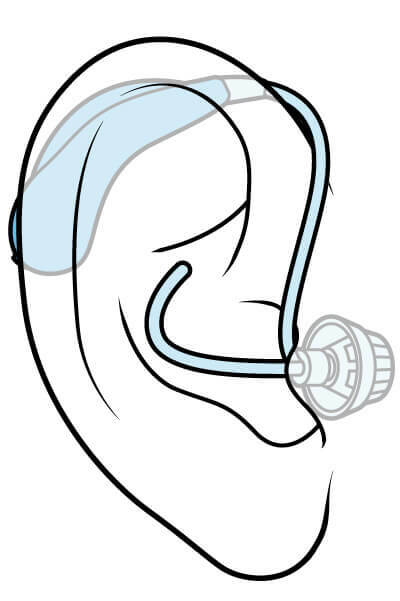 Using a custom silicone earmold made in the office, the manufacturer creates a shell that uniquely fits the canal of the patient. In-the-canal (ITC) and In-the-ear (ITE) hearing aids have been around for many years and are popular with those who have worn these hearing aids for many years. For some, they offer easier insertion and more comfort than other models. As with the CIC models, these are made using a custom ear impression of the patient.